When two strangers ask the manager at Kabul Station to take them into the Afghanizone he refuses. What sane person wouldn’t? Thought to be the result of an alien visitation, the zone is deadly. Nothing works there. Electrical items are your enemy; they malfunction or simply blow up. The pair go in anyway, and the biggest surprise is when one of them walks out again. Nobody survives the zone, so how has she? 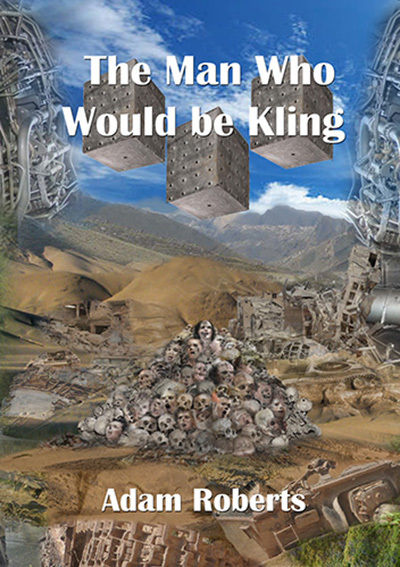 In The Man Who Would Be Kling, award-winning author Adam Roberts delivers an intriguing story that evokes the spirit of the Strugatsky Brothers’ Roadside Picnic while also paying homage to both Rudyard Kipling’s classic tale and to fans of Star Trek.